Why would I need self storage in Rowland Heights, CA? There are a variety of reasons why you might need self-storage in Rowland Heights, CA. How much is a storage unit in Rowland Heights, CA? The cheapest storage unit in Rowland Heights, CA is $54.00 per month. What size storage units do you have available in Rowland Heights, CA? In Rowland Heights, CA we have sizes that range from 4'x6' to 10'x20' to suit your storage needs. How much is it for a 4'x6' storage unit in Rowland Heights, CA? The cheapest 4'x6' storage unit in Rowland Heights, CA is $54.00 per month. Rowland Heights is a Los Angeles County community nestled at the foothills of the San Gabriel Mountains, just a short drive from many popular cities and destinations in Southern California. The community is one of the most ethnically diverse areas in all of California, giving a unique vibe to its culture. It has a number of beautiful nature parks and reserves surrounding its borders, making biking and hiking two of its more popular activities. In addition, its proximity to Los Angeles makes it the ideal choice for suburban living in an otherwise urban setting. Rowland Heights was one of the first areas in Southern California to welcome settlers from East Asia. It became part of California, thanks to the efforts of John A. Rowland, a settler and rancher who petitioned the Mexican government to give the land as part of a grant. Because of his contributions to the area, this unincorporated community took Rowland's name. Rowland established expansive citrus groves in the area, which were eventually overtaken by the suburban sprawl of Los Angeles. During the late 1950s, residential and commercial development caused the area to explode in population. Growth continued through the latter half of the 20th century, and Rowland became a popular destination for many immigrants from China, Taiwan and other Asian countries. 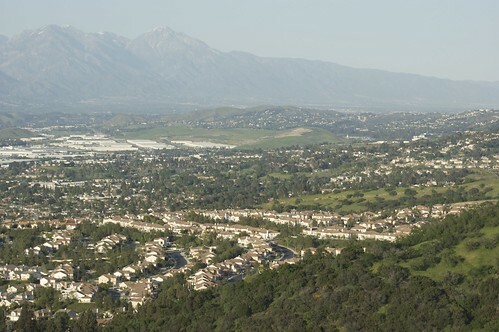 Rowland Heights is perhaps best known for its variety of community parks and nature preserves, which provide plenty of opportunity to enjoy the famously beautiful Southern California weather. Peter F. Schabarum Regional Park is one of the area's largest and most popular preserves, with over 500 acres of natural California flora and fauna. A protected stream runs through the preserve, attracting a variety of local wildlife, like birds and small animals. You can explore the area on any one of its many walking trails, or enjoy a jog through the scenic park. The Puente Hills are a popular hiking destination for many Southern Californians. You may also hear it called the Whittier Hills, especially in reference to the western end. If you're a fan of sci-fi movie classics, you may recognize the hills from a scene in 1953's "War of the Worlds." Powder Canyon is another popular spot in the area, offering several trails for hiking and horseback riding. If you're hoping to take advantage of the California sun by maximizing your time spent outdoors, Rowland Heights has plenty to offer. In addition to these natural preserves, the city also has established several neighborhood parks with picnic areas, play-grounds and sports fields. Rowland Heights is part of the Rowland Unified School District, which serves the area's public elementary, middle and high schools. You also have the option of several private schools in the area, with both faith-based and secular campuses to choose from. Utilities: Southern California Edison and the Rowland Heights Water District are the city's main utilities providers. Garbage and Recycling: Trash and recyclables are collected curbside in most residential areas of Rowland Heights. You can determine your collection day by looking up your neighborhood on the Athens Services website. Transportation: You'll find several public bus routes throughout Rowland Heights, facilitated by Foothills Transit. The median home price in Rowland Heights has been rising quickly over the past several years, and isn't expected to slow down anytime soon. However, there are plenty of different options to be found in the local housing market, so you can search for something that fits your budget and needs. Our lowest priced units in Rowland Heights, CA average $54.00 per month. 63 people have reserved units in Rowland Heights, CA in the past 30 days. There is 1 location within Rowland Heights, CA's city limits. There is 1 location in Rowland Heights, CA that offers AC and Heating features.